The California Cast Metals Association (CCMA) was established in 1972 as a trade association for California's foundry industry. A foundry is defined as an establishment where metal is melted and poured into molds. Today, the most common metals processed are aluminum and cast iron. However, other metals, such as steel, magnesium, copper, tin, and zinc, are also used frequently. 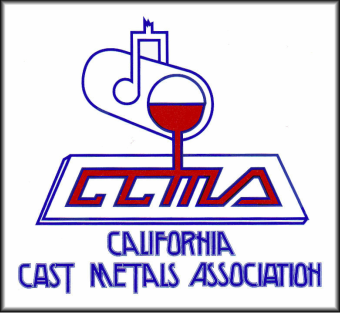 In 2003, the CCMA Board of Directors merged the organization with the California Metals Coalition. Together, the two organizations serve all sectors of the state's metalworking industry.